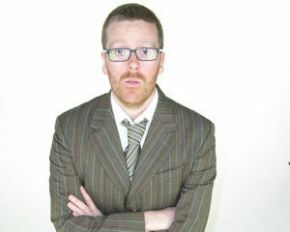 Liverpool Philharmonic Hall’s air was turned so blue when Frankie Boyle took to the stage I wondered if there might be a permanent tint left staining the walls. With a tour entitled “I Would Happily Punch Every One Of You In The Face”, the audience could expect nothing less than a verbal attack, directed sharply towards the sickest part of the funny bone. Despite gaining notoriety for his vicious wit, several members of the audience walked out before bearded Frankie was half-way through his barrage of disturbing one-liners. Not one gag uttered on Mock The Week ever came close to the offensive tirade boiling beneath the surface of the Scot. Entirely unapologetic his wicked sense of humour goes beyond cruelty, Frankie delights in the relentless, unforgiving and, most importantly, hilarious set he has crafted. Exactly why he has enjoyed three rare sell-out performances in Liverpool alone. There’s little left in this world that is taboo, but Frankie finds it. He digs deep into the darkest recesses of his mind, seemingly effortlessly, to draw huge belly laughs which leave you guilt-ridden for a few seconds before, despite your better nature, you erupt once again with laughter.